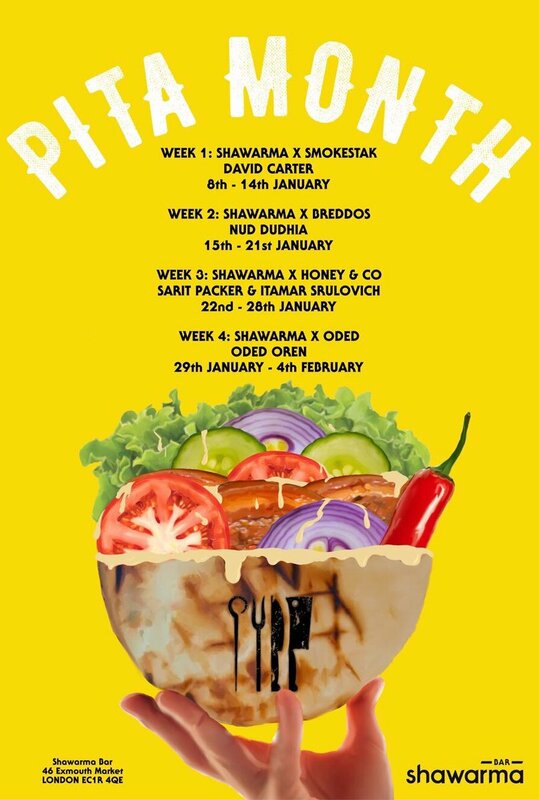 This January, 4 great chefs from Smokestak, Breddos, Honey & Co, and finally Oded Oren, have created special pita kebabs on the menu at Middle Eastern rotisserie diner Berber & Q Shawarma Bar in Exmouth Market. 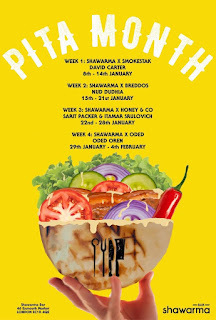 Starting Monday 8th January, and taking a week each, it'll be open Monday - Saturday for lunch and dinner. A great way to start 2018!